Awesome view, great italian old school style. Old apartment but great location. It was a bitter disappointment, we felt unsafe. After having rejected the initial apartment the offered us an "upgrade" at 35 euros extra. After a 10 minute walk with all our bags we were given an apartment that failed miserably to be a "glamorous apartment". We felt unsafe, poor bedding, no hot water, a safe that didnt work, flickering lights overloaded power points leaking taps. Only thing good about the apartment was the view, apart from the fact we were kept awake by loud music to early morning. Worst part was the attitude of the owner / manager we spoke to on the phone, he simply wouldnt listen to our concerns. Everything was amazing from the location to the staff... Will most likely revisit in the near future! It’s location and it was very safe with a locked gate and seven bolt lock on door. Adequate kitchen room. Right off the main shopping street and two blocks from the Milan Cathedral. Lock in a great price for Glamour Apartments – rated 8.1 by recent guests! 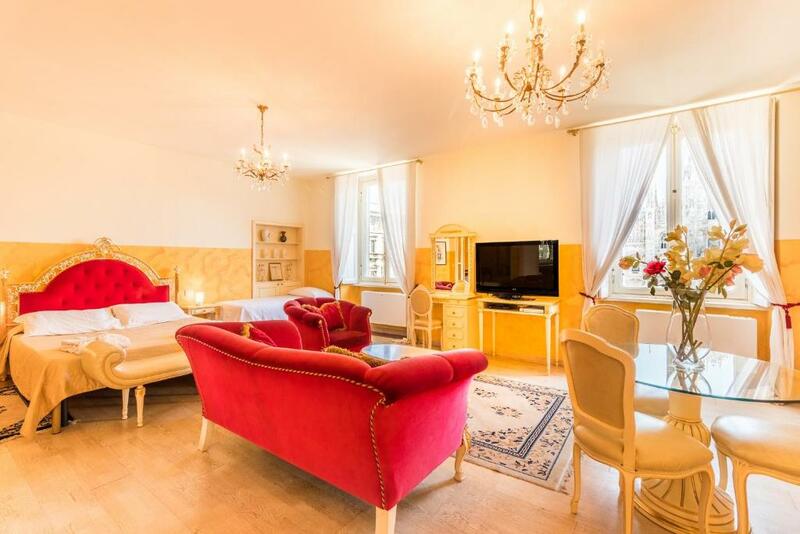 One of our top picks in Milan.Glamor Apartments are located in the heart of Milan, all within 350 feet of the Duomo Cathedral and from Duomo Metro stop that offers fast links to Expo 2015 Exhibition Center. 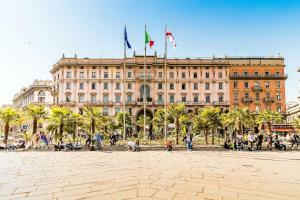 La Scala Theater and the shopping area in Via della Spiga are nearby. Free WiFi and an LCD TV come as standard in each apartment. All the apartments are located within walking distance of the Borsa stock exchange and the financial center. 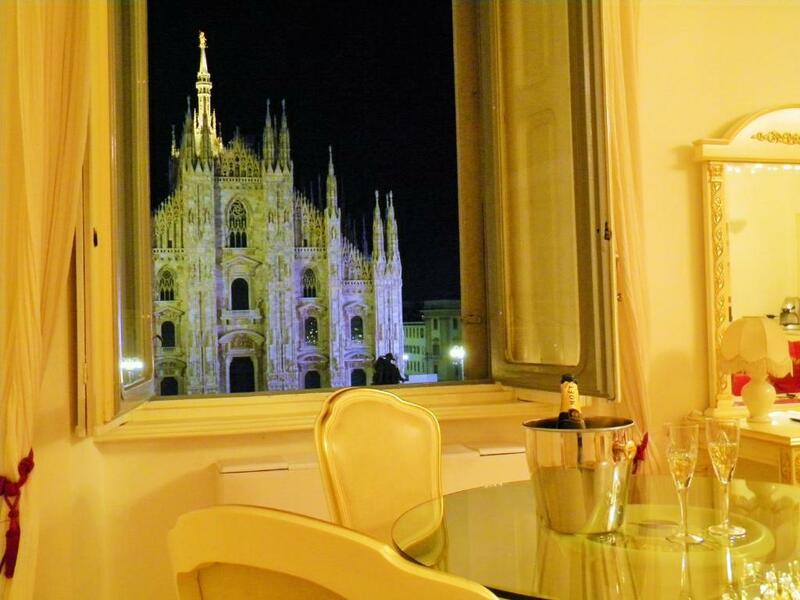 Four apartments are set in front of the Duomo and offer a great view. The other 22 apartments are located at the back of the Cathedral. 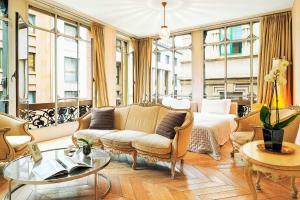 뀐 Located in the real heart of Milan, this property has an excellent location score of 9.4! When would you like to stay at Glamour Apartments? Features a lounge with bar corner, a walk-in wardrobe, work desk, and a spa bath. 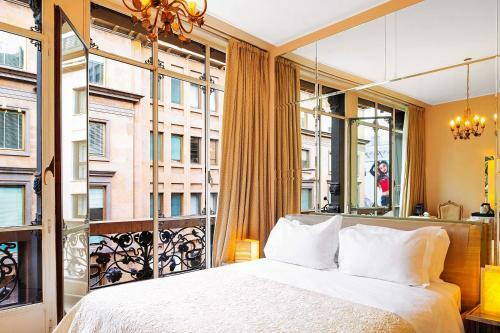 This apartment is made of 2 bedrooms, each with a bathroom. A small kitchenette is available in one of the bedrooms, and one of the bathrooms features a spa bath. 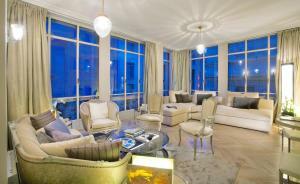 Spacious apartment featuring a modern bathroom with double sink, spa bath, and large shower. Address: Passaggio Duomo 2, Milan. Set on the 3rd floor, overlooking the Duomo Cathedral. 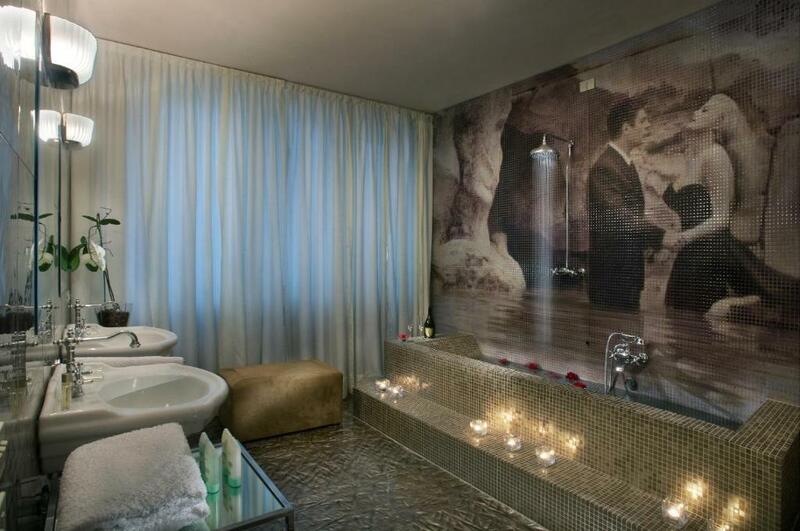 Set on the third floor, overlooking the Duomo, features a marble bathroom with spa bathtub. Set on the fourth floor, overlooking the Duomo Cathedral. This studio has a kitchenette, DVD player and air conditioning. This studio features a kitchenware, air conditioning and soundproofing. This studio features a kitchenware, soundproofing and bathrobe. This studio has a DVD player, stovetop and seating area. This studio features a stovetop, soundproofing and kitchenware. This apartment features a satellite TV, bathrobe and microwave. Overlooking Corso Vittorio Emanuele and Milan Cathedral, this apartment features a seating area and private bathroom. With balconies overlooking Corso Vittorio Emanuele and Milan Cathedral, this apartment features a seating area and private bathroom. One-bedroom apartment with a separate kitchen, seating area and walk-in wardrobe. With a small balcony overlooking Milan Cathedral, this apartment features a separate small kitchen and seating area. With a separate small kitchen, one bedroom, private bathroom with shower, and walk-in wardrobe. Overlooking cosro Vittorio Emanuele street and Milan Cathedral, this apartment features a kitchenette and seating area. 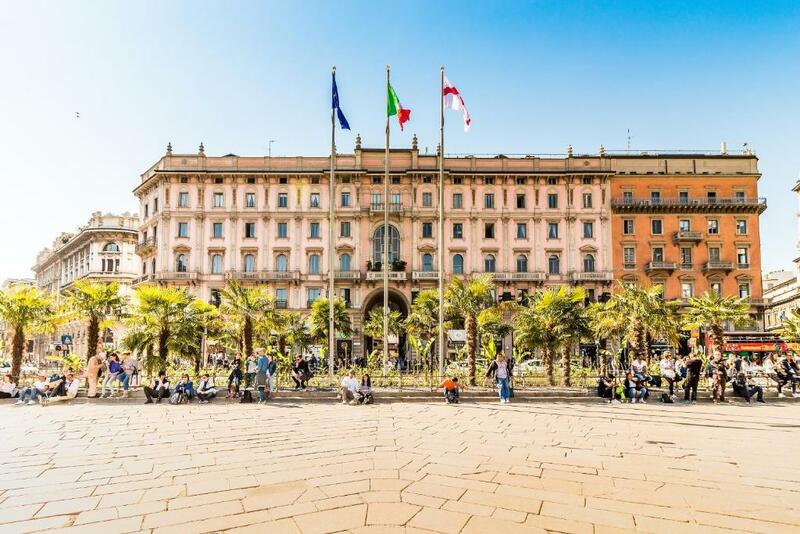 Overlooking Corso Vittorio Emanuele, this apartment features a seating area, kitchenette and a spacious private bathroom with shower. One-bedroom apartment with a seating area, separate small kitchen and private bathroom with shower. With a small balcony, this unit features a seating area, walk-in wardrobe and spacious private bathroom with shower. Overlooking Corso Vittorio Emanuele, this unit features a seating area and a spacious private bathroom. This apartment has a private entrance, sofa and seating area. This apartment features a seating area, private entrance and sofa. This apartment has a sofa, cable TV and tile/marble floor. Our apartments are the ideal hideaway for those guests who place privacy and distinguished lifestyle at the top of their priorities. Attention to the guest is always our priority. Surely the best area in town. Loads of shops, clubs bars and restaurants at walking distance makes it the perfect place for a stay for business, shopping or leisure. Many points of interest just few minutes walking away as the magnificient Duomo, the Sforzesco castle, the Teatro alla Scala and the famous Quadrilatero. Very safe area also at night.